Slots have come a long way since the late 19th century when mechanic Charles Fey introduced the general public to the first ever slot machine. Gone are the days when slot fans’ only option was to play on 3-reel machines with a limited number of paylines. In the past decades, 5-reel slots, commonly referred to as video slots, have become somewhat of a standard and comprise a large portion of the online casinos’ gaming portfolios. The 5-reel slots pose as a more advanced and elaborate form of the game in terms of special features, visual appearance, gameplay and winning combinations. In addition, there is a great diversity of themes and betting limits to suit the individual preferences and bankroll size of any type of slot player. The following article aims at introducing slot novices to 5-reel slots’ basics and key features, so if you are new to the game make sure you read on. Both classic and video slots operate roughly on the same principle. The objective of the player is to land a winning combination of matching symbols on one (or more) of the active paylines in order to collect a payout. Video slots typically have five vertical sections, known as reels, which are set into motion when the player presses the Spin button or pulls the lever. Each of the five reels contains a specific number of symbols as well as a given number of “stops”, which varies depending on the game. Each 5-reel slot is weighted or pre-programed so that it returns a certain payback percentage over the long run. Advanced 5-reel slots have a greater number of paylines, allowing players to land more winning combinations and increase their profitability. The number of paylines on advanced 5-reel slots may sometimes exceed one hundred but most titles offer between ten and fifty paylines. The lines can run across the reels horizontally and diagonally or may even zig-zag and take on V-shapes. In many cases, the paylines are adjustable which provides players with the opportunity to select the lines, they wish to activate and bet on. However, if a winning combination hits on a deactivated line, this will not count as a win and the slot will not pay out. On some 5-reel slots, the number of paylines is fixed which means players cannot choose which lines to bet on, but are required to bet on all lines per each spin. Whether or not a particular set of winning symbols appears on one of the paylines depends on a program, called a Random Number Generator. The latter produces long sequences of numbers to ensure randomness so that all players have equal chances of collecting a payout. It is important for slot novices to remember that the outcome of each spin is not affected by the outcomes of the spins that follow or precede it. The gameplay on 5-reel slots is similar to that on classic slots. Once the game loads, the player needs to adjust the amount of their overall bet per spin. The first thing to do is select the coin denomination. These vary depending on the video slot you play, but the most widespread denominations typically are 0.01, 0.02, 0.05, 0.10, 0.25, 0.50, 1.00, and 2.00. The next thing to do is choosing your multiplier or how many coins to wager per active payline. If the paylines are not fixed, you may also select the ones you want to bet on. For example, if you opt for a coin denomination of 0.10 and bet five coins on twenty-five paylines, each spin of the reels would practically cost you $12.50. Once done with adjusting the amount of the bet and the number of paylines, the player simply hits the Spin button to set the reels in motion and waits to see whether or not winning combinations would land on the paylines. One of the greatest advantages of playing 5-reel slots with multiple paylines is that you can land several winning combinations on a single spin and bag a larger payout. If you have played only classic, 3-reel slots, the first thing that will strike you when you load an advanced video slot is its visual appearance. Leading software developers have really taken 5-reel slots to a whole new level and have emphasized on both sound and visual quality. Many advanced slots start with short animated clips which aim at introducing players to the general theme of the game. One cannot help but notice the visual depth of the slots as the graphics are crystal clear and exceptionally vivid. What is more, whenever players hit a winning combination, the symbols become animated as well and come to life on the reels. The sound effects coincide with the overall theme of the slots and add further value and authenticity to one’s gaming experience. 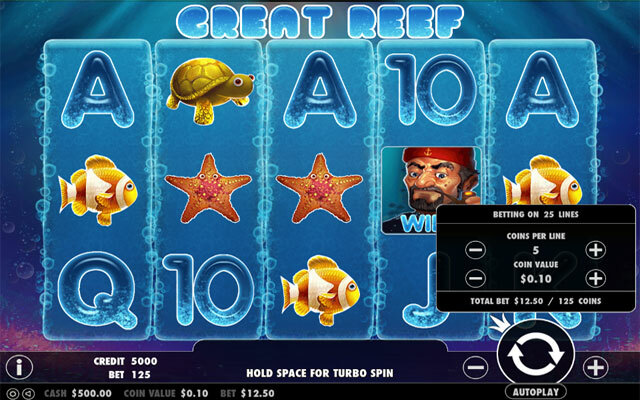 The interface of 5-reel slots is exceptionally user-friendly so players are unlikely to experience any issues figuring their way around, even if they have never played video slots before. The buttons for adjusting the number of coins per line and their value are located at the very bottom of the screen. The overall amount of the bet per spin is displayed immediately next to the coins-per-line button. The good news is players are spared the effort of calculating the amount they have won as profits on spins are automatically shown after each round. If you wish to place the maximum amount allowed per spin, all you have to do is click on the Max Bet button. On some slot variations, players can double the amount they have won by clicking on the Double Up or Gamble buttons. A side game will start, where one is typically required to predict correctly the outcome of a coin toss or to guess the color of the suit of playing cards. Most 5-reel slots have an additional Auto Play feature. When Auto Play is activated, the slot will automatically play through a given number of spins, displaying the amount players have won after each round. Usually, Auto Play allows for up to 100 automatic spins, although the number may vary depending on the slot and the software developer. Players need to set their coin value and multiplier before they activate Auto Play. Since 5-reel slots have two additional reels, more symbols, multiple paylines, and various special features, their paytables contain more detailed information. As a matter of fact, players should always check the paytables in advance in order to understand what the slots’ payouts are. The paytable generally contains information on all possible winning combinations, their payouts and the paylines featured in the game. The first section of the paytable shows players how much coins they collect if they land five, three or four identical symbols on the paylines. The payouts are usually listed starting with the highest-paying symbols and proceeding with lowest-paying ones. In most cases, high cards like Kings, Jacks, Queens, Tens and Aces are used as low-paying symbols. The paytable would also give you a good idea on what to expect from the slot in terms of special features. You will be able to find detailed information regarding bonus games and free spins and which symbols trigger them. The wild and scatter symbols are also listed there. As far as the payouts are concerned, how much you win depends on your multiplier or number of coins you bet per active payline. For instance, you land five high-paying symbols on a payline. The payout for these five matching symbols is listed as 1,000. This means that you will collect a total of 1,000 coins on this spin, if you have bet one coin per line. But the actual amount of money you earn depends on the coin denomination you use. The 5-reel slot variations are in high demand among fans of this casino game because of the numerous special features they come with. These not only add a greater entertainment value to the games, but render them more lucrative and advantageous to players. Read on for more detailed information on some of the key features you can expect to come across while playing a 5-reel slot. When a multiplier symbol lands on a payline, it boosts players’ profits a predetermined number of times. Multipliers can double, triple or quadruple one’s winnings, but there are slot variations where multipliers can increase the amount one wins 100x or even 1,000x. Some multipliers can boost only the winnings, while others count towards the payline bets. Though rarely, multiplier symbols may be featured in the slot’s base play. In most cases, these symbols commonly appear during rounds of free spins. Some software suppliers have even developed games where players get to select from several hidden icons and thus, choose their multiplier in free spins mode. 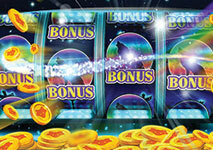 Bonus spins have become somewhat of a standard when it comes to 5-reel slots. This feature is not to be mistaken with the free spins online casinos reward their players with. A round of bonus spins is triggered either by hitting three or more “free spins” symbols or by landing several scatter symbols on the reels. The number of spins the players get depends on the slot although sometimes the number of scatters or “free spins” symbols to hit determines how many bonus spins you receive. On some slots, it is possible to retrigger the free spins as long as you land the same three symbols which unlocked them in the first place. Bonus in-games are a common feature most 5-reel slots share. These are additional games, which are usually unlocked by special bonus symbols. The bonus games often have storylines which fit the overall theme of the slot. The additional games are rather straightforward to play. One of the most widespread bonus games is the so-called “pick-to-win” game where players need to either click on several different sections of the screen or are required to choose from several items (treasure chests, boxes, and so on) which offer guaranteed prizes. Some slots feature the so-called “pick-to-match” bonus games where players should match two or more identical symbols or cash amounts from the options, displayed in the bonus game’s screen. Others involve the player spinning a wheel with guaranteed, additional payouts. If you have ever played video poker, you are probably familiar with how wild cards work there. The wilds in slots have the same purpose and function in roughly the same manner as they can replace other symbols on the paylines to help players complete their winning combinations. As a matter of fact, the only symbols wilds cannot substitute for are the scatters, multipliers and the bonus symbols. 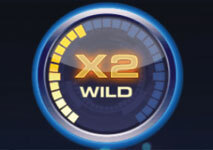 It is important to remember that wilds appear at random and typically have to line up on specific reels, for example, on the second, third and fourth reels of a video slot. There are many different subtypes of wild symbols, including walking, stacked, sticky, expanding and shifting wilds. Scatters are some of the most lucrative symbols you can potentially come across while spinning the reels of a video slot. 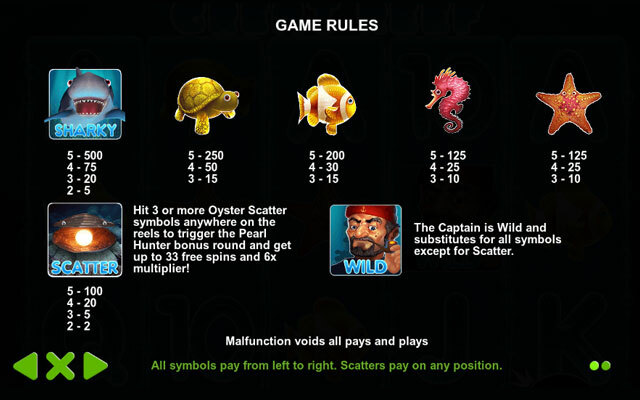 As a matter of fact, scatters are more advantageous for the player than wilds because the former do not have to land on specific reels or paylines. The scatter symbols simply need to appear anywhere on the reels to either unlock a round of free spins or a bonus game. Occasionally, scatters will only render a payout on the player’s winning combination. On that note, it is worth mentioning that scatters, much like wilds, are game-specific and their functions may vary wildly depending on the slot. Players should always check the paytable first to see how scatters and other special symbols work in their slot of choice. Before you proceed with playing 5-reel slots for real money at one of the reputable online casinos we have reviewed on this page, you should become acquainted with what volatility actually is. Volatility, also known as variance, represents the risk inherent to a given slot. It other words, volatility stands for how much and how often players can expect to win in a given game. Generally, 3-reel slots offer less frequent but larger payouts because of the limited number of paylines and symbols on the reels. As far as 5-reel slots are concerned, players will be able to find both high-volatility and low-volatility options. High-volatility slots pay out less often but offer substantial payouts. If you are content with less action and have the bankroll to sustain you through more losing spins, high-volatility slots are the way to go. Then again, players who prefer more action-packed games and have limited bankrolls at their disposal should opt for low-volatility titles as these hit more frequently but the payouts are smaller. Of course, you are unlikely to find information on your preferred slot’s volatility as casinos tend to steer clear from sharing such details with their players. However, the information in the paytable may serve as an indicator of the slot’s volatility. The higher the payouts for five matching symbols are, the higher the volatility of the 5-reel slot will be. If there is a greater gap between the payouts for four and five matching symbols, this also indicates higher volatility. If the payouts for five identical symbols are three to five times bigger than those for four matching symbols, this points to a lower-volatility game.